Hi Gentle Readers. I hope you are having a lot of fun and sometimes actually managing to get into your studio or wherever and play or write, or whatever you do for enjoyment and relaxation. I have almost gotten my book Ten Skill-Building Projects for Bernina v7 Effectiveness ready to publish. I still have to take two photographs and insert them, plus come up with the cover and the front material. Sew I’m thinking this will be available sometime in January 2019 for you to purchase from Amazon. I am self-publishing this book through Amazon’s KDP print on demand company with the valuable assistance of my sons and daughter-in-law. It is about 90 pages long and jam packed full of illustrations and step-by-step instructions that, if you do them all, will leave you with considerable improvement in your proficiency in digitizing in-the-hoop embroidery in this software. Yes, I know that v8 is already out. But one of my best friends convinced me that there are enough people still using the v7 design software, or that have it and never could figure it out, that it is worth publishing anyway. And then…I plan on doing an updated book for Bernina v8. Hopefully, I can get that out before they come out with v9!!! Formatting the book for publication to KDP specifications has taken me considerable time, but it is mostly done. I hope to completely finish and do a final read over by the end of the year at the very least. Maybe somebody will buy it. That would really make me happy. And yes, I have permission from Bernina to do this. Well, actually, they said I don’t need their permission as long as I don’t claim it is through Bernina that I am doing this. But not wanting to get into trouble with one of my favorite companies I asked. Believe it or not I am ready for Christmas. I have all my shopping done, and David (my youngest son) and I got all the decorations up already. There have been years I didn’t get them up until the day before Christmas Eve, back when Marvin was alive and we did a lot of singing for Christmas. Some years when the kids were small, and we did a lot of singing, we didn’t get our Christmas shopping done until a few days before Christmas. Back then, at least, the malls had great sales at that time and we found everything we wanted despite the lateness of the time. Now I just do it all online and it saves enormous time. Memories float up as I open the Christmas decorations and the time approaches to celebrate the Lord’s birth. Marvin and my parents have all departed this earth along with many of my favorite cousins, and all my twelve uncles and aunts. 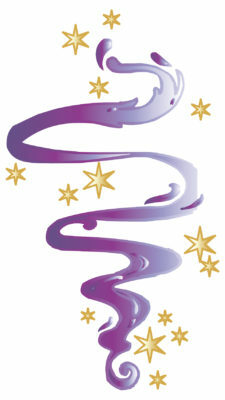 So it is a sweet time of happy musical memories, full of sparkle and light. I fully believe in the hereafter you see, and sometimes believe I can feel their presence too. I love Christmas and its memories. My kids live nearby and my only grandchild, Kevin, is 15 this year and he is nearby too. I am truly blessed. I have started to wonder what 2019 will bring for Betty Jo’s Fabric Arts. I know I have four workshops I am going to teach at G Street Fabrics in April and May. I am going to Mid-Atlantic Quilt Festival in late February/early March, and I have plans for other books and other quilts. I have “Night on the Bayou” in Road to California in January, and I have entered that one and “The Wizard’s Duel” in several additional shows, so we will see what happens there. I am thinking of giving up competition quilting in 2020. I have spent much time and effort doing these quilts and won a few ribbons, learned a huge amount, and want to share what I have learned. I get frustrated when I get annoying or confusing feedback from the judges, and also when I get great feedback and no ribbon. Both happen. I don’t blame the judges. They are faced with a huge job and little time to do it in. I have gotten some wonderful feedback that helped me improve a quilt or my next quilt too. I still have not won a really top ribbon yet. That is kind of a goal of mine I would still love to reach. At this point, I normally (but not quite always) get into the shows I enter, and I sometimes win a lower level ribbon. Is it still worth it to spend the time, money, shipping, anxiety, and so forth entering shows, or should I concentrate on writing and making quilts and samples for the books and maybe even come up with some that will sell? I don’t know. I have a few more show quilts I want to make, and will decide then, or I may just veer off and make quilts I would love to make that are really off the wall and only enter them if they end up something that might really work and not if they are not there. I also am making a bed quilt for my bed. It’s high time I get rid of that old box store coverlet I have had for decades. I am already experimenting with a variety of additional techniques that can help me produce some interesting looks…like yarn and cord couching, 12 wt thread stitching, developing quilts using some of those fabulous fabric panels, and seeing if I can make my digitized in-the-hoop embroidery produce some unusual things…three dimensional insects or animals, for instance…or maybe needle punched bears roaming a deep woods, or discover ways to use my machine in other ways to create hand looks. But what would I do with it if I don’t compete?!!! Sew happy everyone! Take your work to the next dimension and have fun doing it! Merry Christmas!!!!! Tags: Don't give up without trying something else first, Encourage new sewists and quilters, Encourage old sewists and quilters, I really like comments., Thank the Lord for all the cool things we have to work with today, What is that crazy B.J. doing now? Sew I finished my overcoat and it looks fabulous, fits well, and is even flattering. It also is much warmer than I thought it was going to be, so I am all ready for what is expected to be a colder-than-usual winter. I haven’t got pictures yet, but I will and post them. I finished! Ready for the next project. The past few days my son David and I have been preparing the house for Christmas decorating. In other words, we have been cleaning and David put together a nice small drop leaf table we are going to use to put our kind of short Christmas tree on and then, after Christmas, he will be using it for his chair side table. It’s really quite pretty hardwood and seems perfect for the use we are planning for it. I totally love Christmas. It always warms my heart and it has a lot of sparkle. Announcing the beginning of Advent! From Canterbury Knight. I also have finished writing the manuscript for my book “Ten Skill Building Projects for Bernina V7 Embroidery Software”. My dear friend and Bernina dealer Mei-Ling Huang convinced me to go ahead and complete the book since I almost had it finished because lots of people are still using v7. So I have. I am now working on putting it into book format using Corel Draw and will publish it through Amazon. That project will take me a while, but sometime early in 2019 I will publish this book with the help of my son David, who has his own small press. It may be published under Fennec Fox Press (David’s publishing company), but we are still deciding if this is the best way to do this. So I bought Bernina v8 and plan to write a similar book for that version. It may be mostly the same, just updated, though I might find something really fun in the new version that I want to use. I think I can put that book out in 2019 also, not too much later than v7 book. I will tell you that I feel greatly relieved to get these two big projects finished, and I will be really happy to get the house decorated, probably tomorrow. I will be delighted to return to more quilting and less other things. First of all, I am going to do a small project using couching and needle punch for practice and a sample I am also working on a couple of ruler quilting practice samples. And yes, I already have several quilts in mind to use these particular techniques, and so this is part of preparing to launch into those. 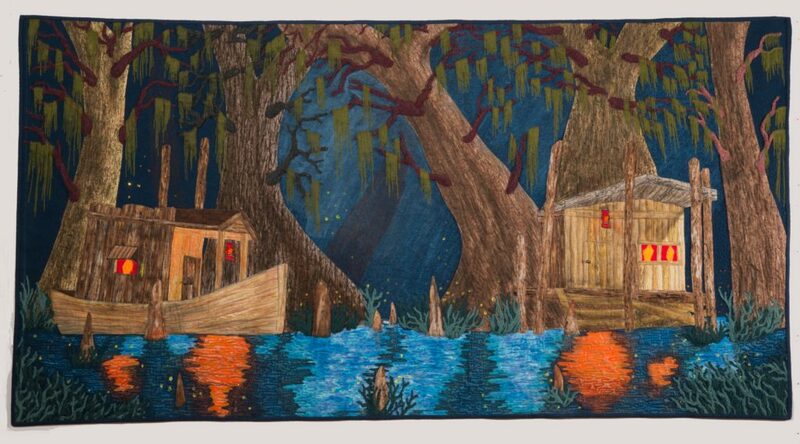 One of the nice little bits of news is that Night on the Bayou has been accepted into Road to California 2019 in January 24-27. I’m considering going. My brother lives in San Diego and offered to put me up for a visit and drive up for a day trip to see the show if I can scrape together the round trip ticket funds. We’ll see what happens. Limbs and spanish moss closeup. Competition at this show is really keen. It’s probably as high as for both Houston IQF and AQS Paducah. So it would be a surprise if it ribbons. Nevertheless. 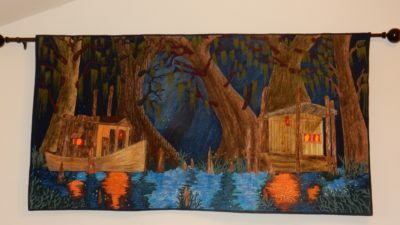 Joel Christopher Payne, the artist whose beautiful piece “Delights of the Bayou” inspired this quilt lives just 45 minutes away and said he will go to the show to see it. I hope he really does, though I know he is a very busy person. I think he would be amazed with the art of the quilts at the show. Sew happy everyone! Have a marvelous Christmas/Holiday season. 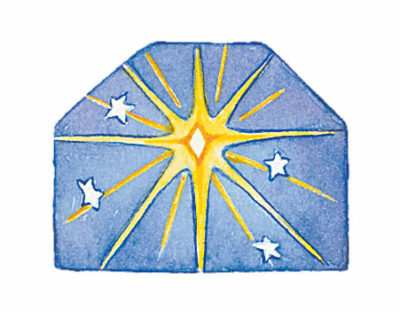 I celebrate from the first day of Advent through the twelve days of Christmas ending on January 6. 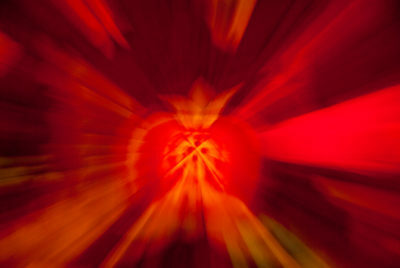 Tags: I really like comments., Thank the Lord for all the cool things we have to work with today, What is that crazy B.J. doing now? Hi everyone. 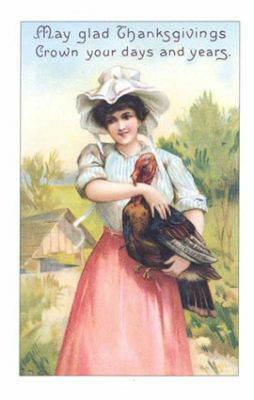 I wish you all a Happy Thanksgiving. 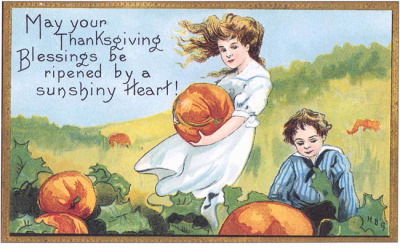 I am very thankful for my wonderful family, friends, and my readers. I was thinking about it the other day as I was pressing a section of the (seemingly never-ending project) overcoat. I dug out my special pressing things I have had for years for use in making clothing…my ham, my sleeve pressing board, my shaped wood pressing piece. I haven’t used them for a couple of years and I am grateful I did not get rid of them because of that. I am grateful for my machines and my wonderful inspiring studio, no matter that it is a bit of a mess. My thoughts today are also with those who have lost so much in recent disasters both hurricanes and fires. I just want to hug you all and wish you all a speedy and full recovery. I am trying to figure out the best approach for helping. I don’t have a lot of cash to contribute and I know rushing to send stuff is sometimes more of a problem than a help in the end. For now, I’m doing some praying and watching for what, if anything, I can do. Sew how is my overcoat coming? Well, I have completed the outer shell and am almost finished with the lining that includes the fur collar. To me, the biggest challenge is getting that fur collar installed in the coat. Sewing with this thick fur is not the easiest thing and requires some special techniques even it if is “faux” fur. I think that will happen tomorrow afternoon or Monday. Then I will be practically done except for hems and buttonholes, so it is looking like I will make my Thanksgiving deadline. After that…back to quilt making and book writing, and I am looking forward to it. The coat has been more of a project than I anticipated largely because of the challenging fabrics. The fabulous wool is, nevertheless, loosely woven in a way that closely resembles hand woven fabric. the fur collar is fabulous faux fur, but sewing with it is also challenging. Nevertheless, I will be happy to have this beautiful coat. It is going to be a little snug, but since I am in the process of losing weight I think that is the way it should be fitted at this time. It will serve me well for several years even as I go down in size (I can move the buttons and I made the sleeve/side seems such I can take them up fairly easily). My next fashion sewing project will be with well-behaving fabrics!!! Sew happy everyone! Have a wonderful time this week! 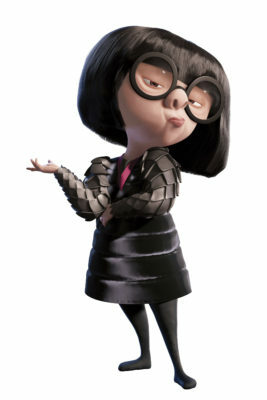 Sew I have put on my inner Edna Mode and am tailoring myself an overcoat as my regular readers already know. I used to do quite a bit of tailoring and know serious tailoring techniques, but it has been quite a few years since I’ve done this kind of work. So I’m slow, and get distracted, and have to look things up in my old notes because they don’t really include these high-end techniques in most patterns of the day. It’s worth it though. The results provide good fit, hang beautifully, and last and last. Today I just finished the outer shell of my overcoat and am moving on to the lining, which also includes the fur collar. At least I was able to try it on and it seems to be fitting okay, though it is kind of hard to tell without the lining and all. I know, I should have made a muslin fitting first, but I didn’t. I did do extensive measuring and adjusting. I really love this pattern, and I’m making it in almost the exact same fabrics shown on the cover. Of course, I am a rather large woman, so it won’t look quite like this, and I changed the sleeves a little and shortened it to knee length because I didn’t have enough fabric for this version. Still, it’s going to be quite nice I think. The very nice wool fabric from my long-held stash is, nevertheless, quite loosely woven almost like a hand-woven piece, and requires fully finished edges despite the fact that the seams will be hidden within the lining. I’m lining it in a beautiful red crepe back satin and I have a wonderful faux fur for the collar that I bought years ago at G Street Fabrics from their remainder table. Even as a small piece like that it was expensive then, but I have had it long enough that I consider it free…LOL. I might make this pattern in another color in a long length with these interesting sleeves next year if this one turns out well since I still have a fair amount of the most beautiful black faux fur for the collar. I don’t know why I’ve been so distracted on this project, so I haven’t sewn steadily on it every day like I normally do in such a case. Still, I am making progress. My “deadline” I set for myself is Thanksgiving. What has distracted me, you might ask. Among other things I am working out a new workshop to teach at G Street Fabrics next spring for sit-down quilting with rulers using Bernina’s basic sit down ruler set. My problem with this is the rulers are really basic and limiting, but I have learned I can add lines to them with Sharpie markers and later remove them with alcoholic swabs…(thank you Bethanne Nemesh for that tip). This opens up many new possibilities. I want to do something other than a set of rectangles to fill in standard looking designs for the class project. I haven’t yet come up with a quilting pattern design I want to make into the workshop project, but I will eventually. Then I will have to make one or more samplers and write a handout to go with it. In the process I have been developing some templates to print out and use as quilting design frameworks. I have managed to get my printer to use the biggest paper it is supposed to use…13 x 19 inch paper…and make these framework templates to fit on two sheets. They are 16″ x 16″ and should work well as a basis for a 20 x 20 inch sampler. In every printer there is a small amount of distortion, and so keeping the number of sheets down is very helpful in something like this. That’s why I don’t think printing it in standard letter size sheets that need to be taped together works as well. After printing them out and taping them together I tape them to the table and put a piece of tracing paper over them to work out some designs, while making notes so I can remember what I did (Thank you Lisa Calle for introducing me to this technique). It has taken a good amount of time so far since I have made several of these framework templates. I was thinking of eventually having these frameworks made into stencils for people to use in a similar way, but I haven’t yet decided what to do about that. Additionally, I am working hard on finishing my Ten Skill-Building Projects for Bernina v7 design software book. I plan to also write another similar book for Bernina v8 software. I’ve also been working on working out some aspects of how I will approach my next show quilt, and new ideas keep rolling in, so I make notes in hopes of capturing the concepts as they fly by. All of this is why I haven’t yet finished my overcoat. LOL. Sew happy everyone! May you all live in God’s safety and happiness in this troubled time. Hi! Happy Halloween! Here we are finally into the fall. Our leaves are not very pretty this year..just kind of brown, and the weatherpeople say we had so much rain and it was too warm too late at night so the trees got confused. So the leaves will mostly just turn brown and fall off. It was kind of like living in a tropical environment this summer…steamy, hot, wet. So I am really happy to finally get to some good quilting and sewing weather. Maybe there is some hope for some pretty oranges and reds in the leaves yet. On Saturday, I finished all my teaching for this year and have my overcoat with its fur collar all cut out and stacked by my Bernina 830 ready to sew together starting tomorrow. 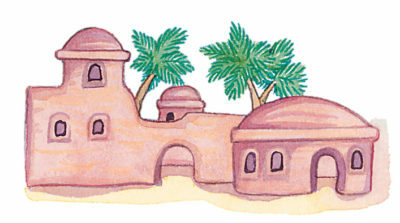 I have been working on one of my books today and am really going to finish the manuscript sometime in November. I am working on a show quilt design. And I am designing something interesting I wanted to tell you about and see if I can get any of you to give me some feedback on the idea. I was recently challenged to develop a class or two in ruler work using a specific set of very basic quilting rulers that are inadequately marked. Now while I find this concept a little limiting, given that I wanted to come up with some designs that are significantly more fun than drawing blocks and filling them in with ruler patterns, I also find it fun to meet this challenge. I also decided it needed an accompanying handout/short book complete with designs and project ideas. Sew developing a basic quilt sandwich to work with for this project has led me to think it would be fabulous to have a stencil I could use for marking a basic structure on the practice sandwich to build some designs on. So I then drew some 16 inch by 16 inch foundation designs for marking these sandwiches and got some 13 x 19 inch paper, which is the largest my printer will take, and printed off a couple of different such designs for tracing and taped them together, I tried using smaller paper, but that requires a lot of taping and it introduces small distortions. This type of foundation design cannot have distortions and still be useful. I’d like to share this concept, but a pdf file wouldn’t be helpful because of distortions when someone taped them together. Wouldn’t it be nice, I asked myself, to have these in plastic stencils that I could either pounce or use to draw onto the sandwiches. Then I could just work through a stack of structurally marked sandwiches until I came up with one or two completed designs that would be fun, interesting, and something a student could accomplish in a four or five hour class. I then got to thinking that there may be others out in the quilting world who would like to have such basic structural stencils that go beyond grids and circles but are the right thing to hang a good design onto. I also have located someone who could make these for me for something that would enable me to sell them for about $12 to $15 each for the 16 inch square size. To do this requires some up front investment, and it would be difficult to sell them for much less, so I have not yet decided what to do. Sew I have all the kits almost prepared, though I still have to put together six more sandwiches that are already cut, marked, and prepared, which should take me only about another hour. So I have been asked by G Street to return for another round of these same classes next spring, and to add at least one more on ruler work. I agreed to do that. 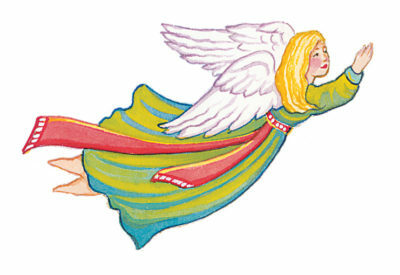 Drawing used to digitize the applique project. While I was there, my friend and dealer talked me into finishing my 10 Skill-Building Projects for Bernina design V7 software book. I had nearly finished it when Bernina came out with v8 and put it aside at that time, but I had shown it to her recently. She said there are lots of people out there who are still using v7. I decided she is right and maybe I won’t make much money with it, but someone may find it useful. It does seem too bad to not publish it after all that work. She said then maybe I could maybe buy v8 at a sale price and do another one for that software. I’m considering that and think I probably will do that. But I did open the file for the v7 book to see how much I have to do, and I think I can finish the manuscript in a matter of a few weeks. I only have one more chapter and I have to make one more stitch-out for photographs in addition to whatever I do for the last project. Sew that made me look at the other book that covers the same fabric arts techniques presented in my three workshops only much more extensively, and that is not too far away from completion either. And in fact, I even think I have nearly all the samples made that only needs photographing for the book. I have a third book in the works also on surface design and embellishment…but it’s a ways away from completion. I’ve been working on these three books off and on for years and it’s high time I get them finished and published. I know how frustrating computer software and computerized machines can be sometimes. I also know that if they work, or if I actually figure out how they work, they can enormously enhane my ability to accomplish things, or accomplish them faster or better. The more I learn the more I realize it’s nearly magical. I also know that most of the problems I have with them is because I don’t really know how to use them right or don’t know all the cool things they will do that I can use. I have been taking a class in Corel Painter this past couple of months and I have learned an enormous amount. This will be a major help in my design work and it’s lots and lots of fun too. For some unknown reason I am sometimes compelled to share what I have learned, which is why I am developing workshops, writing books, and sharing this blog. I am going to add to those the making of videos. My oldest son has outfitted me with all the equipment I need to do some simple videos and podcasts. I have been practicing video making so those will happen sometime soon. And I haven’t forgotten my show quilts. Just today I worked on a pattern for one of my planned show quilts. I won’t share this one until it is mostly done, but just think “trains”. Sew happy everyone. Share what you have learned with someone. Happy new quilting season! Today I completed teaching the second in a series of Fabric Art Workshops that cover my basic techniques for creating quilted fabric art. So far I have addressed my multiple techniques for machine applique and today I covered quilting with feed dogs up. This gives the new quilter a chance to get used to handling a small quilt and learn how much you can do with the feed dogs engages. On October 27th I am going to finish the three part series with Organic free motion quilting. This is not formal feathery quilting, but rather how to approach quilting in a way that adds texture and enhances the design…often of pictorial quilts and the like. This series sets up a nicely finished piece, but it does not include several things I also use…ruler work and the real biggy, which is surface design and embellishment. So while I was there they asked me to run this series again next spring, and I agreed. We also talked about how I might cover the missing elements…ruler work as well as surface design & embellishment. So I will be developing some new workshops to go with the first three. 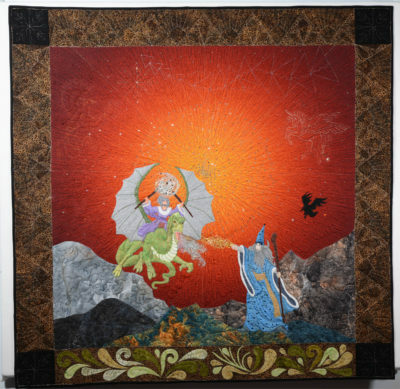 IF, therefore, someone wants to have the techniques to make quilted fabric art (and even use the techniques for more traditional quilting), they will be started down that path. Once they learn the techniques they can fly, as Bob Ross once said. 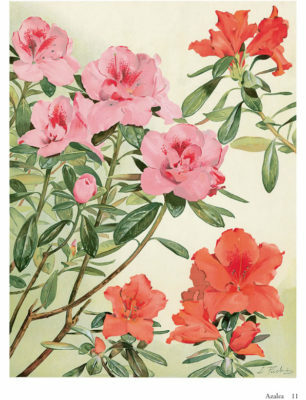 I am also mulling around in the back of my mind the possibility ofoffering these to quilt shows close enough to drive to from here (Ashburn, Virginia) and other shops. I may not do that other than a possible local business or two because I don’t want to get so busy with these that I don’t have time to spend a lot of time making new art in my studio, because I am, after-all, basically a studio artist. It is my biggest joy. I do find I like teaching also, though. I just don’t want to have the art overwhelmed by the teaching. It is fun, however, to think of providing this whole series of what may work out to be five or six classes. I want to do what I can to keep this sport alive and growing. Sew happy everyone!..Teach someone to sew or quilt…your next door neighbor, your best friend, your grandson, your granddaughter, your dog….lol. I love having you along on this great adventure! Creating art with fabric and thread, plus some surface design and embellishments provides us with an infinite horizon. No matter where we are with our creative expression and techniques, we can always get better. 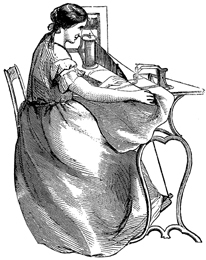 Design and creative possibilities are nearly limitless in today’s sewing and quilting world. So much can be done with even the most basic equipment (as long as it is in good working order). It’s so exciting! I think I must be a little bit crazy because I see inspiration everywhere. Sometimes I have so many ideas in my mind about what to try next that I have a hard time focusing in on a project, and then just as I almost have figured out how I will do my next project, I see a new inspirational technique or design. I have to rein myself in and focus…LOL. I have also realized that I am basically a magpie. . I love love love sparkly, shiny designs, but then I also am fascinating with what I can do to make interesting looks and near three dimensional art quilts (I think of it as 2 1/2 Dimension) Recently I have been thinking about what I can do with Bernina v7 design software. 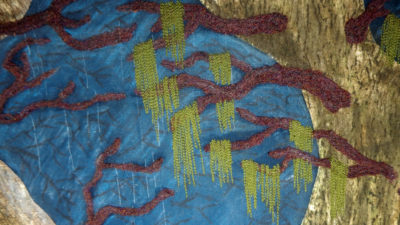 This software has so many interesting techniques that go so far beyond simple embroidery designs. So I have been spending considerable time thinking about and working on designs that might end up being my next show quilt. Oh look, there’s another neat idea!!!! In the meantime, I am making an overcoat. I got the outer fabric cut out, but still have the fur collar (from a gorgeous piece of black faux fur), the lining, and interfacing to go. I also am continuing the making of my applique bed quilt for my own bed. I have completed the large middle block and six of the twelve little blocks. Life in my studio is fun, and I’m sew excited about this brand new sewing and quilting season. If you are in the area, maybe we can work out a play date to sew together sometime this fall. What are you working on? Don’t forget…I am teaching a workshop next Saturday at G Street Fabrics in Rockville on quilting with feed dogs up for fabric art. In this class you will learn how you can do some very interesting quilting in place of or to work with free motion quilting. Sew happy everyone! 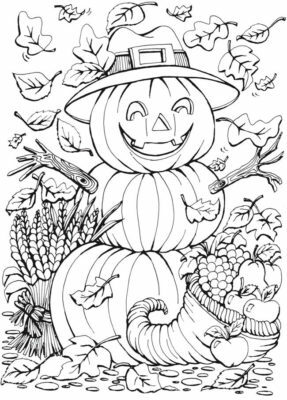 Wishing you a wonderful fall and winter sewing season. Last Tuesday my two quilts that were in Pennsylvania National Quilt Extravaganza came home. As you probably know by now Wizards’ Duel got a blue ribbon as Best Interpretation of Theme and Night on the Bayou did not place. PNQE is a Mancuso show and they usually provide comments that are often helpful and sometimes just a little depressing. This time, I got wonderful comments on both quilts and I wanted to share with you, gentle readers. For this quilt I placed it in the Innovative category. They don’t have an all art-quilt or all pictorial quilt category. For this quilt I placed it in the Wall Quilt category and the grade sheet had the same categories and grading system, except the judges wrote in G=Very Good and gave me all Gs on all the categories!!! Harrrumph! Not only did they choose the nonexistent G for all the categories, their grades seemed to compete a bit with their comments. See what you think. If you look up all four judges you will find that none of them are art or pictorial quilters. 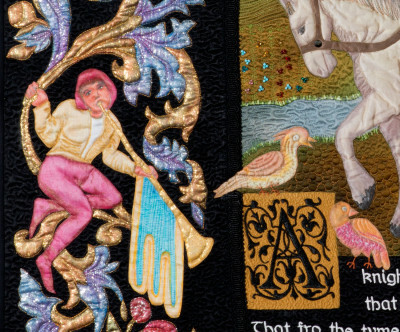 They are all four traditional and a couple specialize in hand quilting, which should tell you something about how far they had to stretch their view of quilts to make a judgement call on the art and pictorial quilts and therefore, I think they did a fine job. All four of them. It’s a hard job when faced with such fabulous quilts throughout a national or international show. Sew overall, I am happy, and now believe both quilts have the potential to bring in some nice ribbons from future shows. I’m going to have to do some choreography in placing them. Houston rejected Wizards’ Duel, but that was before I fixed the rocks. I think perhaps I need a new set of pictures for both of them. Pictures make a big difference in what a show will take. Sew happy everyone! I wish you fun in your studio or office and that you be surrounded with love. Next Saturday, the 22nd of September, at G Street Fabrics sewing machine center, I will be presenting a six hour workshop from 11 am to 5 pm. This workshop is the first of a 3 part Fabric Arts techniques that are designed to present all the techniques I use in creating my basic fabric art show quilts (minus surface design and embellishment). The other two parts will be October 6th and October 20th. It’s going to be fun. 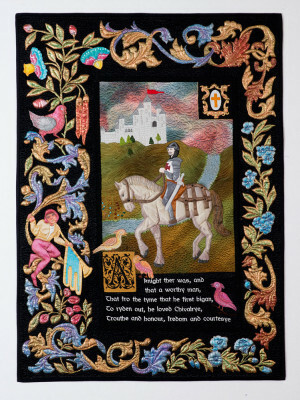 Anyway,this first workshop presents multiple machine applique techniques for multiple uses, and discusses how to decide which of these techniques work best where. To do this, I designed a simple fun little top piece and provide a complete kit so the student can start right away learning and not spend time in prep work. I will also show some of my show quilts that used these techniques and give instructions and demos along the way. So I am all ready. I have all the kits made, I have the video equipment for my demos, and I am excited. Hope to see you there! If you aren’t there, please send a little prayer and good thoughts for me that it will go really well for all of us and everyone will have fun. Sew happy everyone! 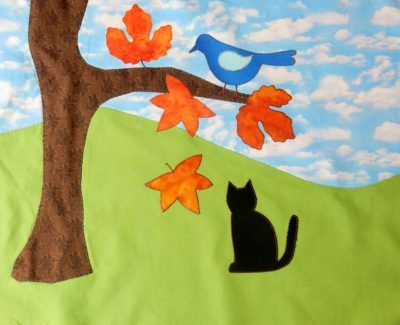 Play with some applique and make something fun. 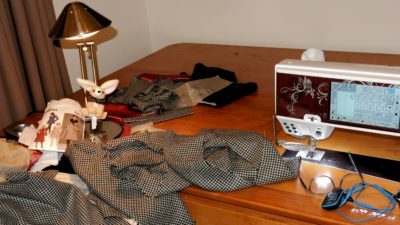 Betty Jo's Blog on Cotton, Polyester, Silk, or Rayon? Meta Bonnell on Cotton, Polyester, Silk, or Rayon? 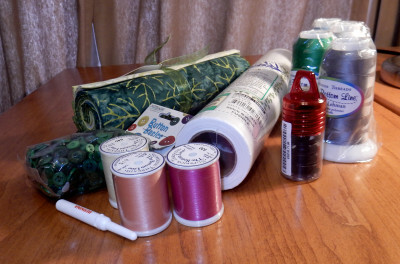 Donations would really be appreciated to help me keep making my fabric arts and this blog going. 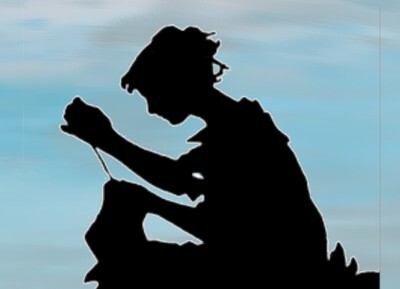 All donations will be applied to fabric art and blog use. Content copyright 2016. Betty Jo Tatum. All rights reserved.